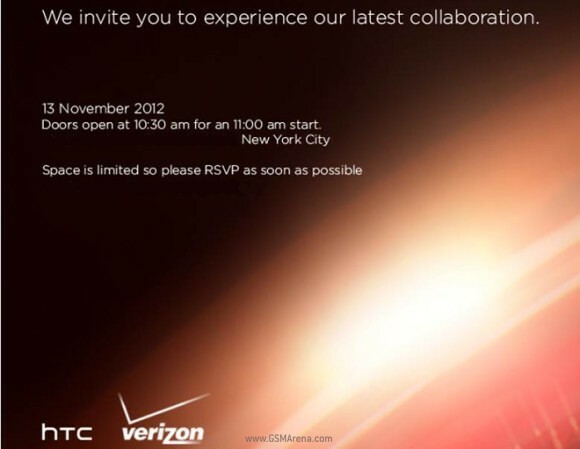 HTC has sent out invitations for an event in New York City, which will take place next Tuesday, November 13. The Taiwanese manufacturer will show off its “latest collaboration” with Verizon Wireless. Given the recent string of leaks, we can all but confirm that the device scheduled to break cover is the HTC DROID DNA. The upcoming smartphone appears to be a close relative of the Japan exclusive HTC J butterfly. It is bound to pack an eye-catching 5” Super LCD3 display with 1080p resolution and pixel density of 440ppi. Quad-core Snapdragon S4 Pro silicon, 16GB of built-in memory, microSD card, and Sense-d Android 4.1 Jelly Bean are also part of the device’s projected specs. We are going to be live from the HTC event next week, so we’ll tell you all about the company’s latest creation. HTC will beat the fell out of any competition....HTC with its next Driod just amazing..i wish it could be Nexus device....just waiting.. I hope it come up w/ the Nexus mark. awesome phone that could have put htc to the top... why only u.s ???? ?